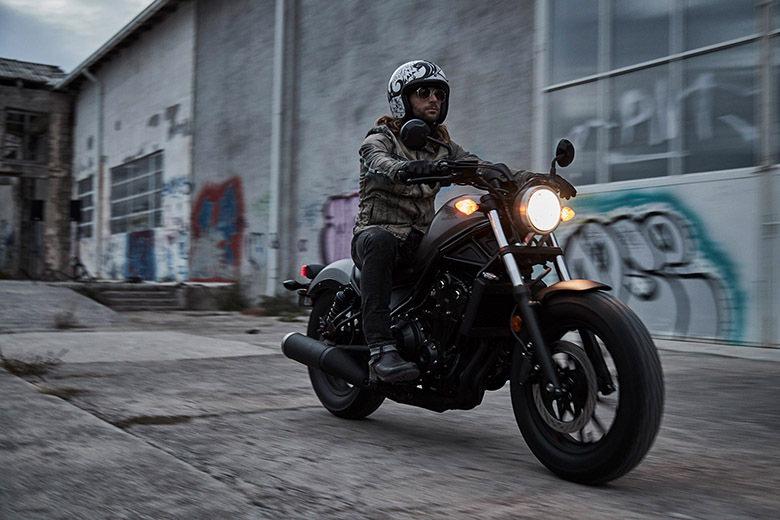 The new 2018 Honda Rebel 500 Cruiser is best known for its stripped-down performance which is always up for anything. This cruiser features the blacked-out looks with the compact frame to its low-slung seat. This Honda cruiser is available in Candy Lightning Blue color. 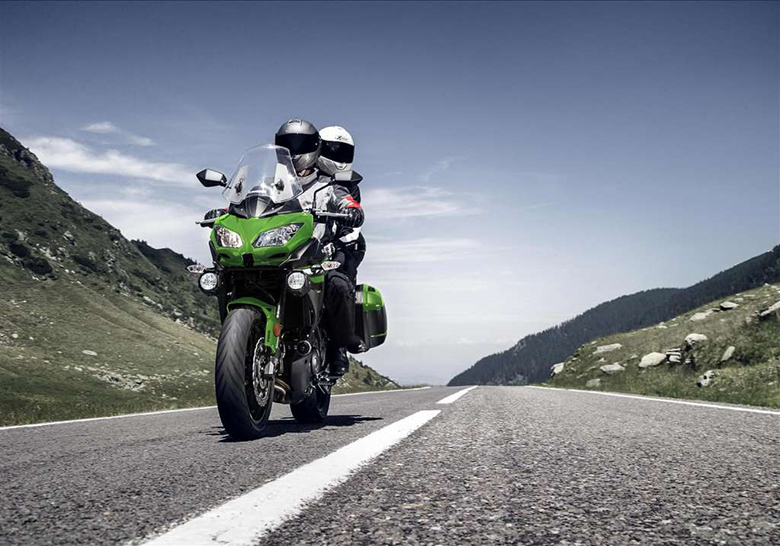 This motorcycle features the 471 ccs parallel-twin engine which is specially tuned for middle and upper-rpms. 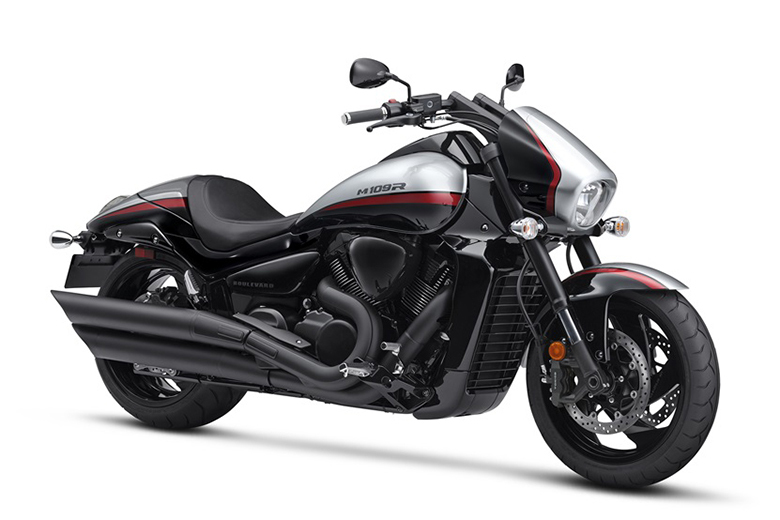 The review of new 2018 Honda Rebel 500 Cruiser with its price and specifications are given below. The new 2018 Honda Rebel 500 Cruiser is available in $6,099 only. 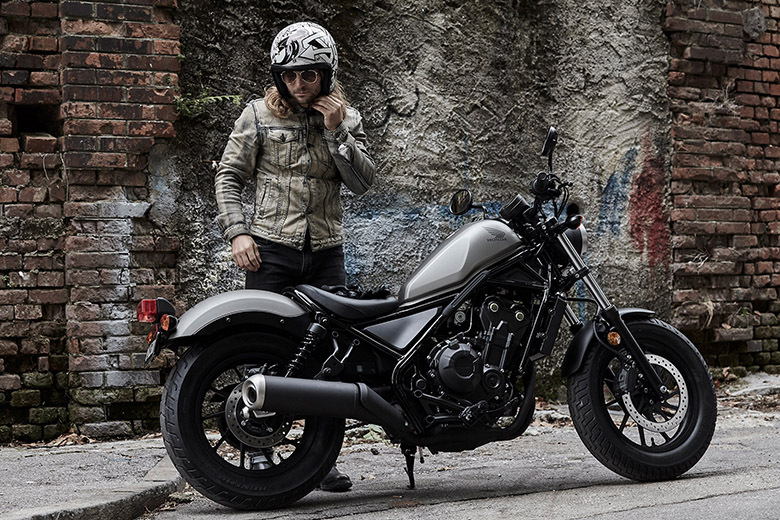 The new 2018 Honda Rebel 500 Cruiser features the twin-cylinder 471 cc engine which is considered to be the most significant choice for cruisers. The Honda twins are famous for their versatility, agility, and high performance. The parallel-twin engine is narrow that helps in the reduction of overall bike size plus it gives the lower rpm torque with higher rpm performance. 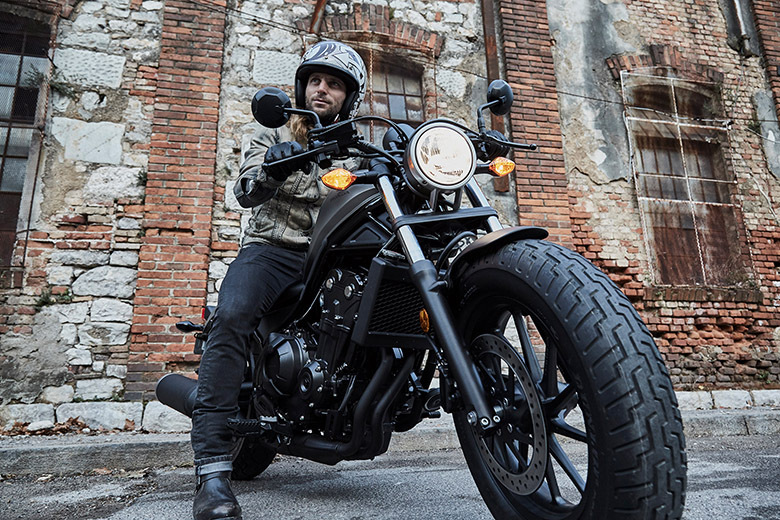 The new 2018 Honda Rebel 500 Cruiser leaves a more significant impact in terms of value than 2018 Honda Rebel 300 Cruiser. Its cast wheels front and rear are light in weight, easy to clean and thoroughly practical giving it’s a unique appearance. There is some optional accessories available for those who want to customize their ride. 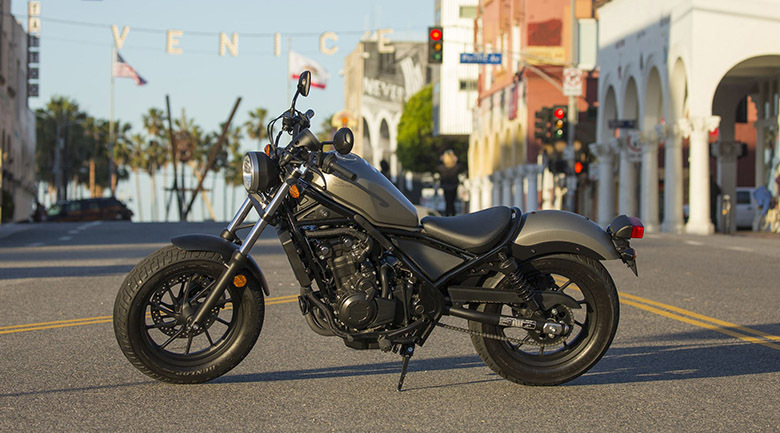 The new 2018 Honda Rebel 500 Cruiser features the blacked-out style that always demands another look. 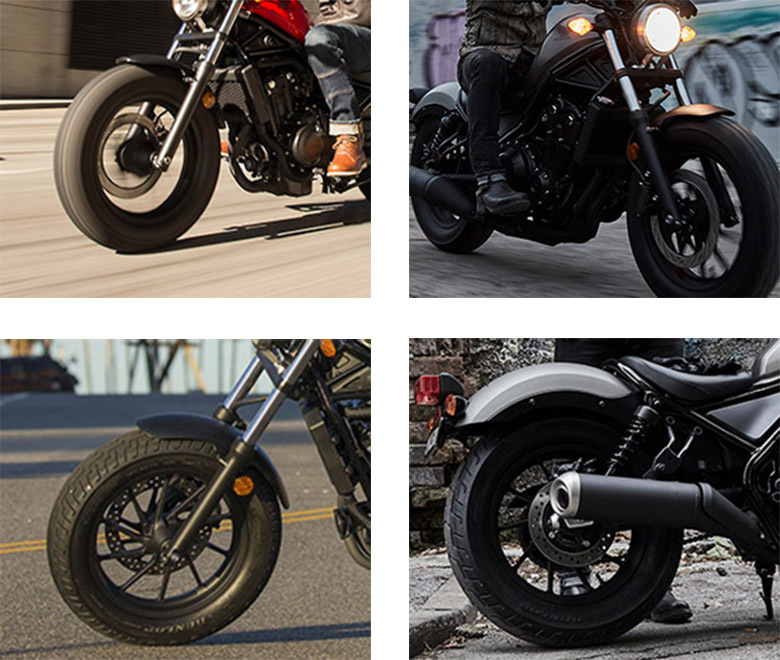 The real steel rear fender is color-matched to the tank or matte black. The paint looks great while the frame ensures the solid support for an optional passenger seat. 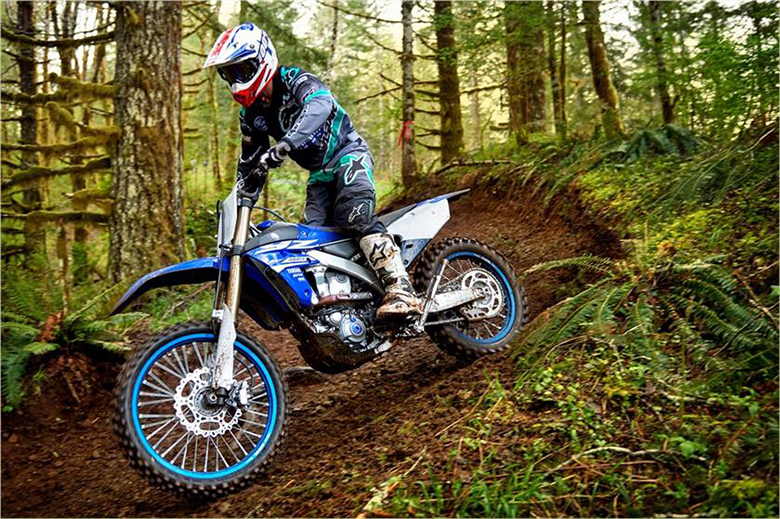 The rebel contains 130/90-16 front tire which not only looks great but it helps to provide excellent handling power. The glass-lens headlight offers the brightest and precious light output. The beacon contains nacelle shape with aluminum cast headlight attached and glass lens giving this cruiser an awesome character. The overall Rebel comprises an iconic instrument shape which fills it with totally up-to-date digital LCD information. 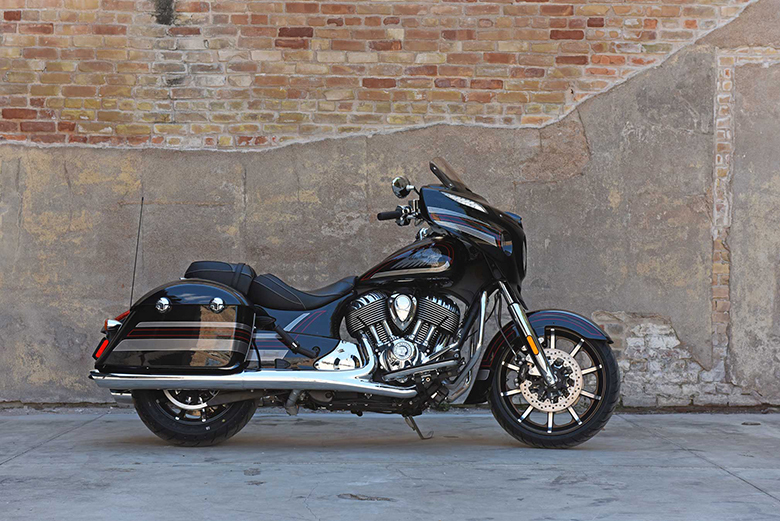 An all-new black-out muffler performs well under all conditions. The exhaust system blends perfectly with the bike’s overall look. This cruiser features the front suspension giving the precise steering and plush ride. The full fork of 41 mm fork tubes provides the bike a substantial presence as well. 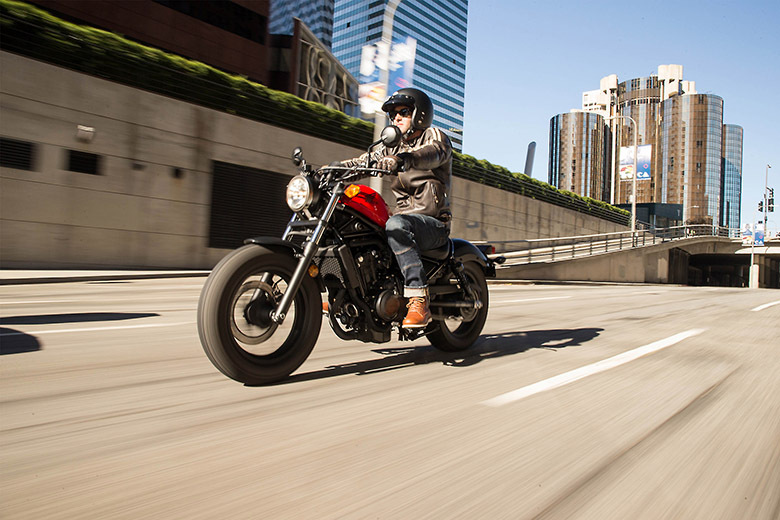 The new 2018 Honda Rebel 500 Cruiser features the low seat height of about 27.2 inches that ensure to deliver comfortable ride plus it makes it easier to flat-foot during stops. 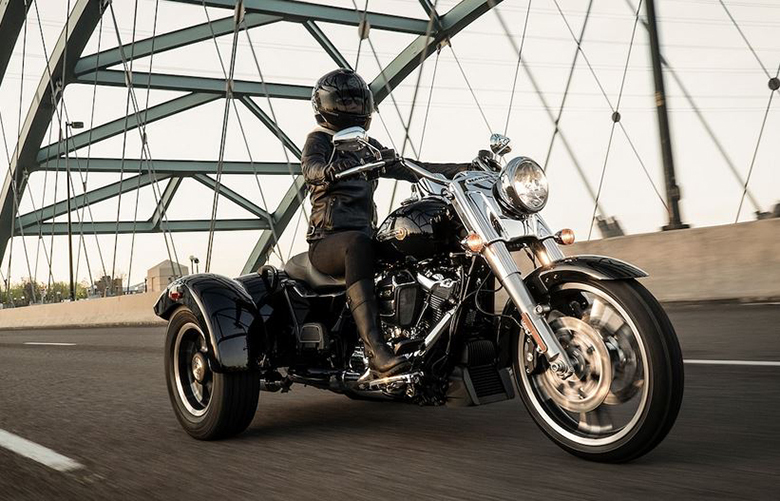 This cruiser comes in the solo seat with an optional passenger seat, passenger footpegs and footpeg hangers all bolt up or remove in minutes better than 2017 Honda Rebel 500 Cruiser. The fuel tank is kept the light in weight with the full tank weighs just 408 pounds. It gives the bike much lighter and attractive of all times. 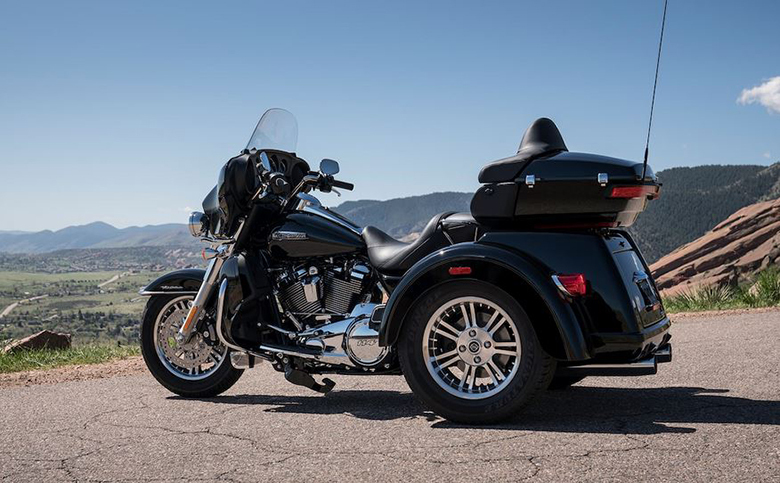 The super-narrow tank and seat junction makes this bike more comfortable to get on and off. 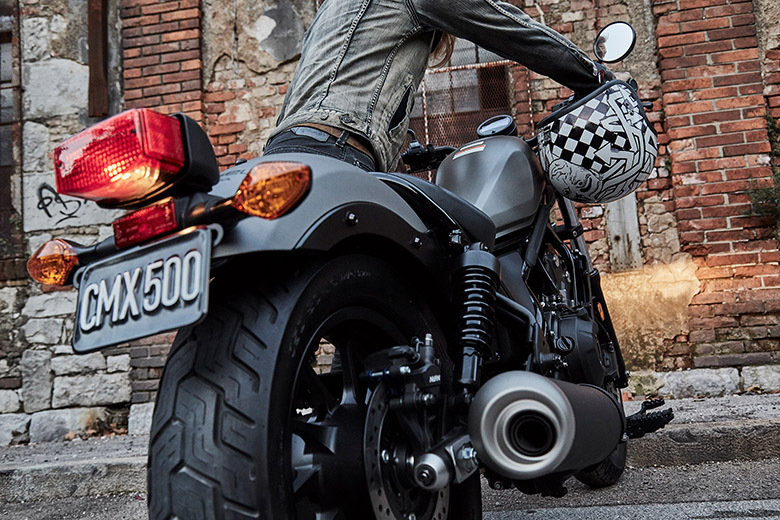 The new 2018 Honda Rebel 500 Cruiser ensure to provide superior handling over the twisty roads. The Honda brand has used the high standards of administration so that rider can feel free during the ride and always enjoy the riding pleasure. The fuel tank features the carrying capacity of 2.9 gallons of. 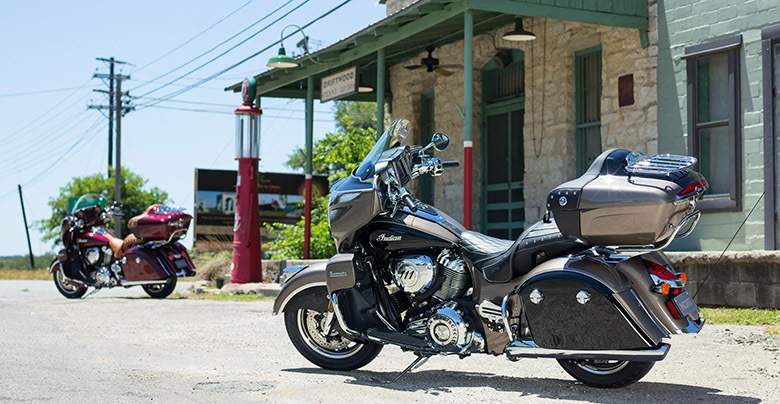 This Rebel contains an iconic fuel-tank not only looks good but provides plenty of riding comfort. The Honda’s designer makes the die-cast aluminum rear sub-frame extra cool. This frame is sturdy, subtle, and light offers a solid foundation for an optional/ removable passenger seat. The full 16 inches of rear tire provides plenty of grips plus it helps in lowering the bike’s overall seat height and stance. Emissions This Cruiser meets current EPA standards. California version meets current CARB standards and may differ slightly due to emissions equipment. 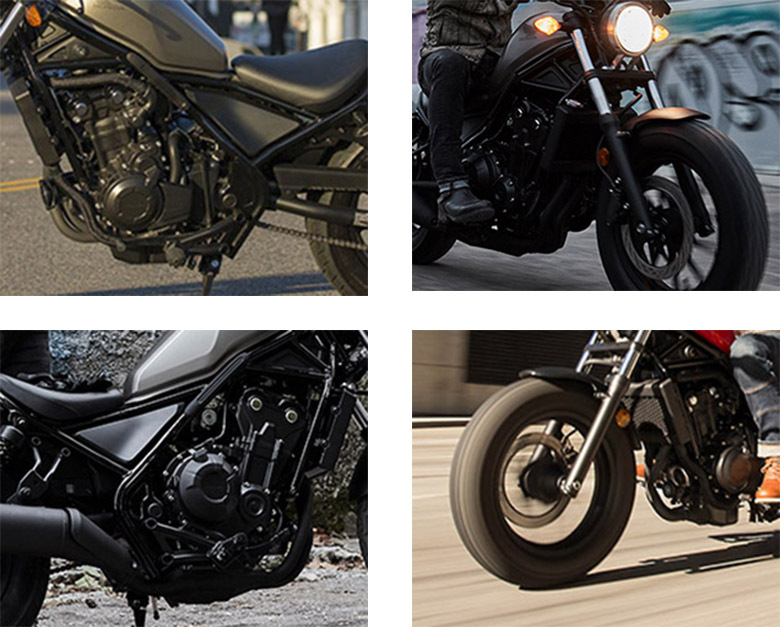 This article provides the full review of new 2018 Honda Rebel 500 Cruiser, and it is covered under bikescatalog.com. This cruiser features the powerful and high performing engine that ensures to deliver instant torque and acceleration. The chassis is narrow, light in weight and strong giving an attractive view. Those riders who prefer riding long distance ride should purchase the new 2018 Honda Rebel 500 Cruiser and enjoy his ride either with partner or solo ride.